All parts of speech have their uses; together they allow us to write complete sentences and thoughts. We need adjectives, adverbs, conjunctions, interjections, nouns, prepositions, pronouns, and verbs (for more on these and their definitions, click here) to work together in harmony, to flesh out our ideas, to make those ideas come alive. What we don’t need is constant repetition of any one kind of word, especially adverbs. 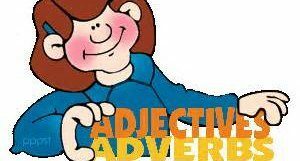 Adverbs modify / describe adjectives, verbs, and other adverbs, so it’s easy to overuse them. If all the articles that have been written through the years on this topic were printed on paper, there would be enough to sop up all the water from the recent hurricanes. All I want to do here is show you how you can shorten and strengthen your writing, merely by taking out many of the adverbs you’re using. Doesn’t “yell” already contain the idea of being loud? Doesn’t “whispered” already contain the idea of being quiet? “Allan was really, really mad.” Hmmm. Could you change that to “Allan was irate!” or “Allan was crazed!”? “Kim is a very obedient child.” Could that be changed to “Kim is an obedient child.”? What does “very” add to the idea of being obedient? “Jack had a very unique idea.” No. Unique always stands alone; it means one of a kind. It cannot be modified. And before you get all upset, thinking I’m advocating for removing ALL adverbs, please understand that I’m not. I am saying that we can all use a moment to think about the impact of our words, whether they’re necessary or are just cluttering up our writing. If they serve a purpose, use them. If not, don’t. 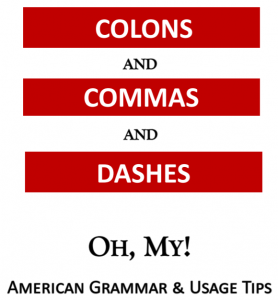 Take the challenge: Use the grammar checker built into your writing program / platform or check out one of the online ones like Grammarly or the others mentioned here. See if you’re guilty of using too many adverbs. Our goals should be clarity and ease of reading; otherwise, we risk losing our readers. And although we’re supposed to be writing because we want to, I’m sure most of us also want to have readers engage in a positive way with us!